In popular culture, such as video games (eg. Virtua Fighter), many martial arts were described as being taught to the “king”, or “inside royal palace”. There are some confusions in this area as “king” in China meant different things than what that title means in European tradition. Before China was unified in 221 B.C., the country was ruled by kings (wang 王). When King of Qin (秦) conquered the others, he gave himself the title The First Emperor (shi huang di 始皇帝). Ever since then the ruler of China, though now one country, called himself the emperor. Throughout history the title of king continued to exist, granted to the highest rank of nobles. These are usually people who were instrumental in founding of a dynasty, like Han Xin – King of Qi in Han Dynasty, or members of royal family. 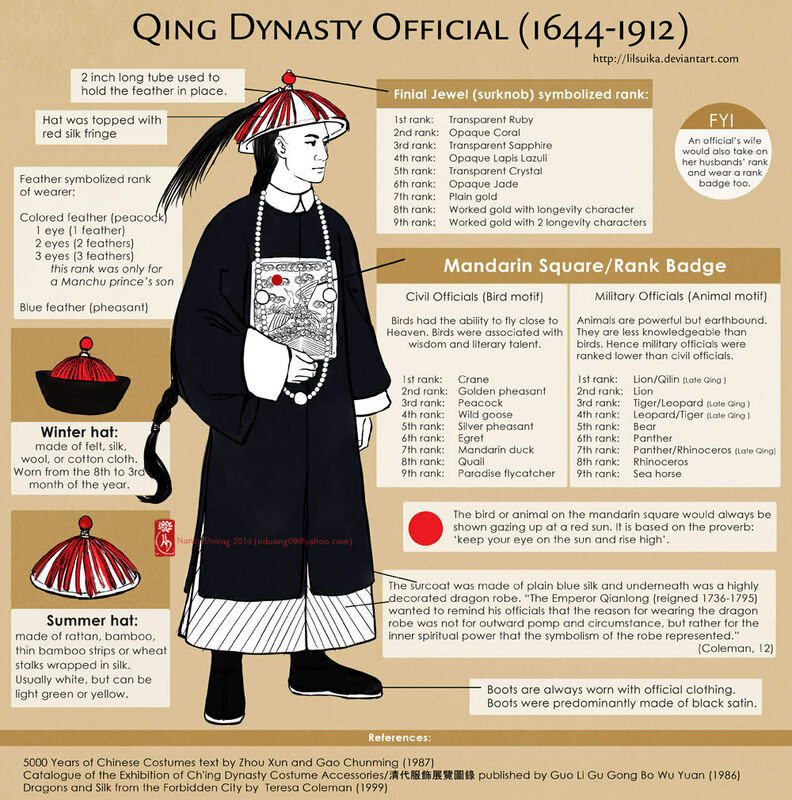 During the Qing Dynasty, only brothers and sons of the emperor can be conferred that title. So in Qing Dynasty at least, king should really be translated as prince. Of the famous masters of internal martial art who taught princes, Yang Luchan of Taijiquan was the first. Yang taught Zaiyi (載漪 1856-1922) – Prince of Duan (Duan Jun Wang, or Duan Wang 端郡王). During his time in Prince of Duan’s palace, one of the prince’s bodyguards 全佑 (Quan You) studied with Yang also. But Quan You could not be recognized as a disciple of Yang Luchan, as that would make him a brother of his master the prince. Instead, officially he became disciple of Yang Banhou – Yang Luchan’s son. After the fall of Qing Dynasty, like many Manchurians Quan You adopted a Han name – Wu (吴). Later on he would be recognized as founder of Wu Style Taijiquan. Yang Luchan and Yang Banhou both worked as instructors for Shen Ji Ying （神机营）. Literally “divine machinery garrison”, an elite force specializing in firearms (canons, rockets, mortar in the beginning, later on also rifles…) that had its origin in the previous Ming Dynasty, when firearms began to become practical battlefield weapons. Up to 30,000 strong during Qing Dynasty, it was a royal garrison that guarded the Forbidden City and traveled with the emperor. So it was one of the three most elite, trusted military units of Qing Empire. Dong Haichuan arrived in Beijing much later than Yang Luchan. He served both the 8th and 9th generation Royal Prince Su (Su Qin Wang 肅親王). In China’s there was a great tradition called “Jiang Di” (降递) that governed the passage of noble titles from one generation to another, that the title get demoted by one rank each time until it reaches the lowest of noble rank. This way succeeding generations have a incentive to make notable contributions to the empire. There were exceptions to the rule. During the Qing Dynasty, there were 12 Prince titles that were inherited intact from generation to generation, these were known as Iron Hat Princes. In Chinese when we say something is “iron”, it meant that thing is solid, for real, not liable to change. Su Qin Wang, a title originally conferred to the first crown prince of Qing Dynasty, was one of these 12. During his many years of service with Su Qin Wang, Dong Haichuan spent about 10 years away from the palace, managing the prince’s large estate in Mongolia. During these years he was accompanied by his senior disciple Yin Fu. It was during this time the 64 Palm form was formalized. Many people believe Yin played an instrumental role in creation of that first form. Later, when Dong moved out of Su Qin Wang’s palace after retirement, martial artists flocked to him as he was basically inaccessible to them before. Many of these disciples were accomplished masters already, and Dong modified the training method according to what each student knows already. Dong also started to further systematize his art. Hence the first 64 Palm form later became known as Yin Style Baguazhang. Dong and Yang were on very friendly terms, they were introduced to each other by Song Mailun, the head of the largest security company in the capitol, and great master of San Huang Paochui. Yang and Dong had one known encounter. It was at one of those huge garden restaurants popular in Beijing at the time. A large group of people were present at the party. At some point they got up and went outside to the garden, closing the doors behind them. When they came back after a while, both praised each other’s skill. Within Taijiquan circles, legend had it Yang said afterwards Dong was able to neutralize all of his attacks. Another great master who also taught at Shen Ji Ying was Liu Shijun (劉士俊). That was where he had the famous encounter with Yang Banhou: one day Yang Ban Hou came home, he was happy because he threw Xiong Xian Li (Li’s nickname, he came from Xiong County). When Bauhou related the account to his father, Yang Luchan remarked, “don’t be too happy, it doesn’t look like a clean victory.” Banhou was puzzled. Yang Luchan said “Look under your armpits.” Sure enough, there were holes under the armpits on Banhou’s robe. Liu Shijun, well-known master of eagle claw gongfu, could have caused him serious injury but obvious chose not to. Later that evening, Yang Luchan felt uneasy thinking about this, and quickly made his way to Liu Shijun’s place. Liu was already packing his belongings to leave the city, as per tradition. Yang persuaded him to stay, saying this encounter was but a casual crossing of hands, all the while praising Liu’s skill and character. After much persuasion, Liu finally agreed to stay and came to admire Yang. One of Liu’s most prominent disciples was Liu Dekuan (劉德寬), who went on to achieve even greater famous after studying with Dong Haichuan. Yang Luchan, Dong Haichuan, Liu Shijun, Song Mailun, these were the premiere martial artists of the capitol city. These masters taught princes and elite soldiers that guarded the princes’ and emperor’s palaces. But they had no direct connection to the emperor or the royal crown prince. That would change with the next generation. Ma Gui, Yin Fu’s senior disciple, had a chance encounter with Yang Banhou at Duan Wang’s palace. One of Ma’s nicknames was Mu Ma (Wooden Horse, Ma’s surname means horse). One time he was on the job at Duan Wang’s palace when Yang Banhou was teaching the prince push hand. Just 18 year old at the time, he let out an impolite laugh while watching Yang, which is a major taboo between martial artists to start with, much less in the presence of a prince. However Duan Wang was in a playful mood. He asked Ma why Yang laughed, whether it’s because he also practices and understands what they were doing. Ma replied “yes, but I just walk circles.” “Then perhaps you would like to try”, said the prince. Naturally he meant against Banhou. Ma was short and slight of built his entire life, no doubt that and his age made Banhou underestimated him. For as soon as they touched, Ma Gui sent Banhou on an uncontrolled flight, knocking down and breaking a man-sized garden vase given by the emperor in the process. Again, thankfully Duan Wang was in a great mood that day, as Ma Gui could’ve easily lost his life over that offense. Instead, Duan Wang made Ma Gui teacher to his son Pujun (溥儁). In 1899, the Dowager Empress Cixi, the real power ruling Qing Dynasty, made Pujun “big brother” (da a ge 大阿哥) – crown prince. Unlike his reactionist cousin Duan Wang, Emperor Guangxu, son of Cixi’s sister, was a modernizer who was trying to transform the political system into a constitutional monarchy modeled after the great western powers at the time. But Chinese feudalism had reached a point where it could neither afford its illnesses nor the cure. His reform effort failed, and Cixi planned to replace him shortly with Pujun. While Ma Gui was now the teacher of the future ruler of China, it was his teacher Yin Fu who stood close by to the current one. Yin Fu was the bodyguard of Cixi. His rank was Yi Pin Dao Wei (一品刀卫) – First Rank Sword Guard, meaning he was one of the few people on earth who could stand steps behind the ruler of China while wearing a sword. Yin Fu would have been immortalized for his martial prowess alone. However, during his time, he won his great fame for another reason that is not talked about much today – he was responsible for security when the royal family escaped Beijing during the invasion of Eight-Nation Alliance in 1900. The Qing rulers of the time were not unlike the French royalties during the French Revolution, but imagine in this instance the rulers and their large retinue miraculously managed to escape and return unharmed. In a situation where was complete breakdown of civil society, guarding a large group of people who are weak in every sense of the word, that completely out-of-touch with real world, that could be no greater demonstration of one’s intelligence, resourcefulness, fortitude, and martial prowess. At the same time Ma Gui was facing the greatest challenge of his life as well inside of the capital. The Eight-Nation Alliance saw Duan Wang being the master manipulator who played off the Taiping Rebellion against the foreigners inside China, so his palace was one of their high value targets. By this time Duan Wang and the royal prince Pujun had escaped as well, but many household members were left behind. Decades later, a daughter – one of the handful of survivors of the invasion, would write “the foreign soldiers came in with orders to wash the palace with our blood, in the end only a few of us made it out. I saw Master Ma Gui cutting a bloody path through the sieging armies.” This was a very valuable historical account, unique in that it actually mentioned the name of a martial art master. After Yin Fu escorted the royal family back to the capitol, Cixi was forced to exile both Duan Wang and Pujun in 1902 to the remote Xinjiang province, stripping them of their ranks and titles. China’s long feudal era finally ended with the fall of Qing Dynasty in 1911. Shortly after in 1915, one of the major warlords of Qin Dynasty Yuan Shikai briefly tried to establish himself as emperor, his “reign” lasted a mere 83 days as the nation rebelled. No one counts him as the last emperor. Similarly, the person who was the last emperor – Puyi, was later installed as emperor of a puppet government by the militaristic Japanese government of the time. As with Yuan Shikai, no one recognizes his legitimacy after 1911. Society had finally moved on, there would be no more kings and emperors for China. For this reason, although great Baji master Li Shuwen’s student Huo Diange was bodyguard of Pu Yi, to be historically accurate we cannot say he was bodyguard of emperor. Huo Diange was a great master of Baji himself, and had many run-ins with the Japanese handlers of Pu Yi. His tenure there was ultimately a very tragic one. These rulers of late Qing Dynasty were hugely unpopular in China to say the least, as they presided over the most humiliating chapter in the nation’s history. My personal opinion is that people (majority of country is ethnically Han) perhaps placed too much blame on these ethnic minority rulers, who most likely wouldn’t have behaved differently if they were Han. The fundamental problem was not these Manchurian rulers were bad at being feudal rulers, it was feudal system/culture they represent that are at fault. For these historical reasons, today it’s not politically correct to exalt the royal service of these illustrious masters. Today it really doesn’t matter whether who they served was really the king of China, the crown prince, the royal cousins or uncles, we can simply admire them for their skill. These are people who started on one of the lowest rungs in traditional society, and through their incredible talent, hard work, discipline, and their wits, fought every step of the way to the highest place possible for them in that society, ultimately to be in the daily presence of the rulers of their known world. Yin Fu, Cheng Ting Hua, etc probably all received basically the same content from Dong Haichuan. But from a teaching perspective, the way those materials are organized and presented, seemed to become more systematic and clearer as Dong Haichuan taught more and more people. Elite athletes are physical geniuses who have innate sense for movement: think Michael Phelp’s feel for water. These people just seem to know automatically how to move in the most effective, efficient manner when you teach them a new skill. I’m sure both Dong Haichuan and Yin Fu are like that. We know Yin Fu was one of very few students Dong Haichuan had when Dong was working for the king. There was a lot of one on one intensive training, especially in the nine years Dong was in Mongolia managing the king’s estate. So talent + hard work + opportunity = greatness for Yin Fu. In terms of growth, no other group in history of traditional martial art had as rapid a rise as Bagua Zhang group. Before, Dong was fully preoccupied with his work, plus because of his position, ordinary people probably cannot just seek him out. The huge influx of students happened after he retired. Not everyone of them are going to be as talented (or talented in the same way) as Yin Fu. He probably couldn’t spend as much time with each students as he did with Yin Fu. Also, they all had varying degrees of martial art experiences. Traditional teachers in general do not like to teach students with a lot of prior experience. Because if the materials are very different, either the student’s previous training is so ingrained he cannot change, or it takes too much effort to deprogram and untangle all the confusions. Dong Haichuan then, must have spent a lot of time in those years thinking about the best way, the most efficient way to teach all these different people, to help them get ‘it’. We know one thing: he clearly decided at some point that teaching everyone the 64 Palm routine he taught Yin was not going to work. When Dong was teaching Yin Fu, Yin Fu probably imitated Dong’s every movement perfectly, very quickly. Dong did not tilt his hips when he walked, so Yin didn’t either. This is just my guess, because I know a few people from real life who are perfect mimics like that. Their teachers actually did not correct their physical movements that much. Most of the people on major Wushu teams today, they have that type of talent. The problem with a lot of these physical geniuses is that they do so many things correctly, naturally, they never had to think about it. This is especially true for basic things like proper alignment that us mere mortals have to spend years to perfect and solidify. That makes it hard to fully transmit your knowledge to people who are not exactly like you. A lot of times it’s not because they don’t want to tell you, or they couldn’t articulate it, but because they are not even aware there’s something that needs to be articulated. Just like being a fighter, the more, different types of people you encounter, the better you are as a teacher. As he sees all these people who are very different from him and Yin Fu trying to imitate him, he must have noticed all lot of these previously unspoken things. He must be like, “oh, ok, it’s not working for him because he’s not doing that. I didn’t tell him that. So that thing is actually very important. He needs to master that first…” This is one reason why people say the process of teaching actually deepens your understanding.